Most of the times when your hardware device refuses to work; it could be because the device’s driver is out of date. For such issues, you need to update your driver. There are three ways to update your Microsoft device drivers. You can visit Windows Update at any time to see new versions of all drivers installed on your computer. When you want to find a driver you want to install, especially for a new device, start by opening Windows Update. In the left panel of Windows Update, click “Check for Updates” to see a list of available updates for all drivers installed. You can even click the link to look at more information about what the upgrade is about and the changes made relative to the last version. Then on “Select the Updates You Want to Install”, check off the boxes for all the drives that you wish to upgrade and click “OK”. Lastly, on the Windows Update page, click “Install Updates” and enter the administrator password for confirmation. You will be notified when the installation is complete and the driver is ready to use. Some of the updates may require you to restart your computer. You also have the option on Windows Update to automatically get driver updates for any hardware. Windows Update will install all important and recommended driver updates only, while the optional updates wait for your approval. 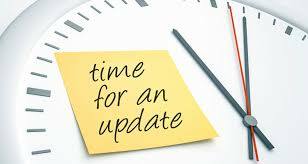 For automatic driver updates, regularly check Windows Updates for all available driver updates. Start by opening Windows Updates and selecting “Change Settings” on the left panel. Then under “Important Updates”, click your desired driver for the device that you want to install automatically. Under “Recommended Updates”, you can check the box for “Give Me Recommended Updates the Same Way I Receive Important Updates.” This way, you will know which updates are available for your hardware. Automatic driver updates are highly recommended to keep all your devices working properly. It’s convenient to let Windows update all your drivers automatically, but if Windows can’t find a driver for your device, or your device didn’t come with a driver, you may need to do it yourself. You can visit the Windows 7 Compatibility Center website to find drivers for devices that are downloadable. Alternatively, you can find the driver on the manufacturer’s website as well. Most of the times, the driver is available on the support section of the website. When you find your desired driver, follow the instructions provided on the manufacturer’s website. Most drivers will install automatically after they are downloaded on your computer. All you have to do is double click on the file to begin installation, although there are some drivers that require manual installation. To install a driver that isn’t self-installing, launch the Device Manager. First, click on the Control Panel and go to System and Security. Then under System, click Device Manager and enter the administrator password when prompted. You will then find a list of hardware categories and there you can select the device you want to update. Simply double click on the device’s name, click the Driver tab and then finally select Update Driver. Follow the instructions you are given and enter the administrator password as needed for confirmation.